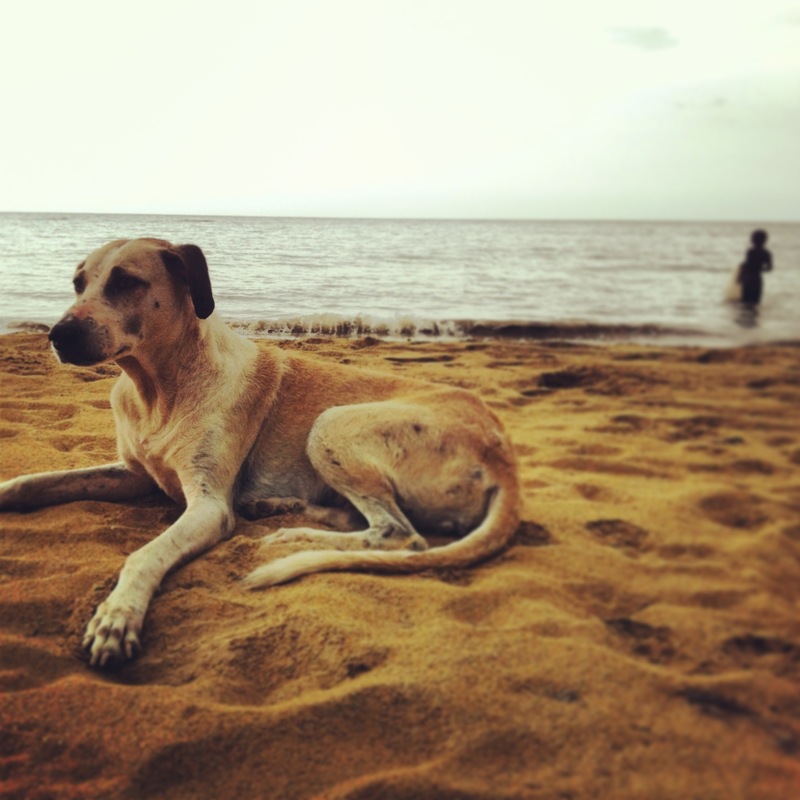 A pair of stray dogs enjoy the beach in Las Terrenas, Dominican Republic. In June 2013, Tovin and I spent 10 days traveling around the Dominican Republic by Chevy Aveo and our sometimes flawed sense of direction. 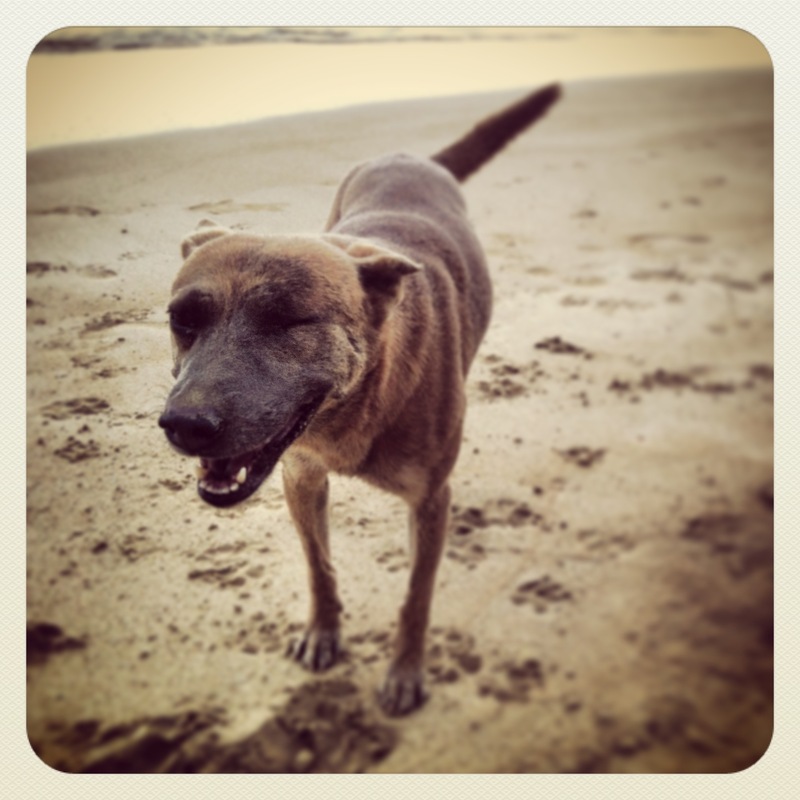 Everywhere we went, we met dogs. 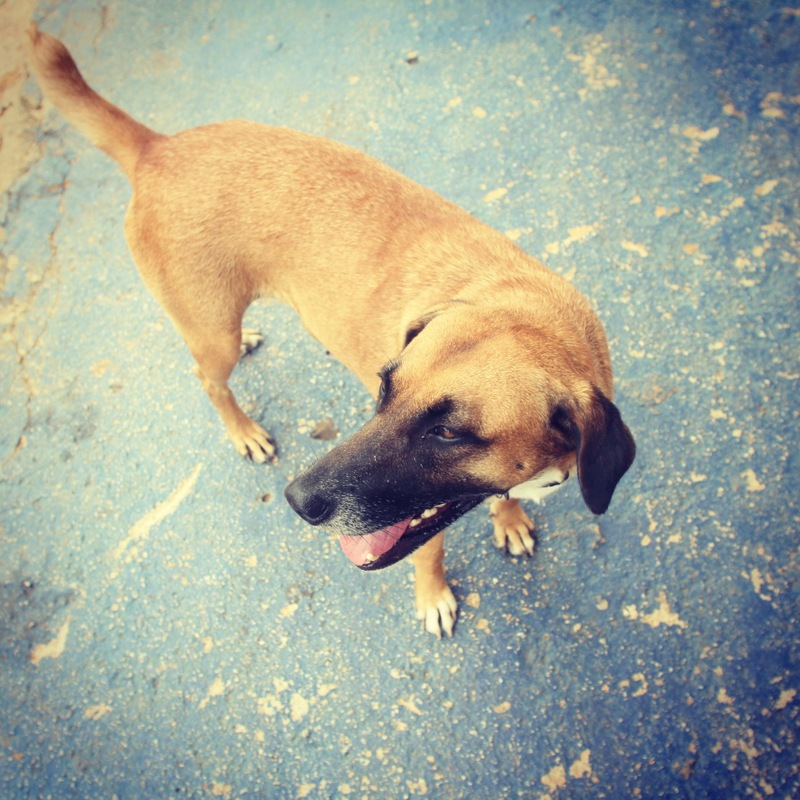 Some were strays, some had owners, some reveled in our attention, some ignored us completely. 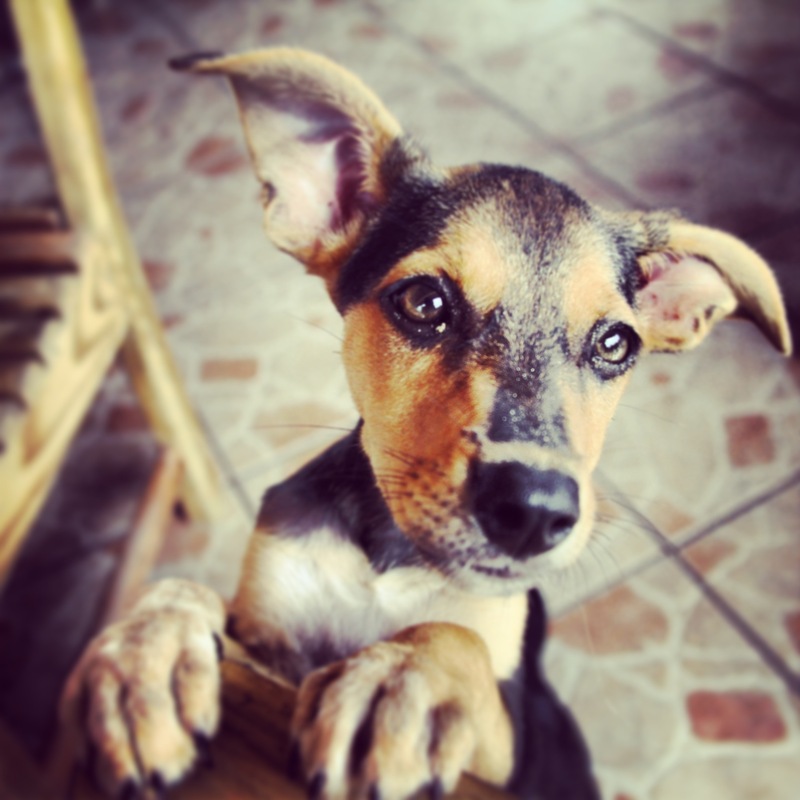 We documented the animals we met, Instagrammed them under the hashtag #dogsofthedr, and now, we share them with you. Enjoy. And don’t forget to pet a stray. 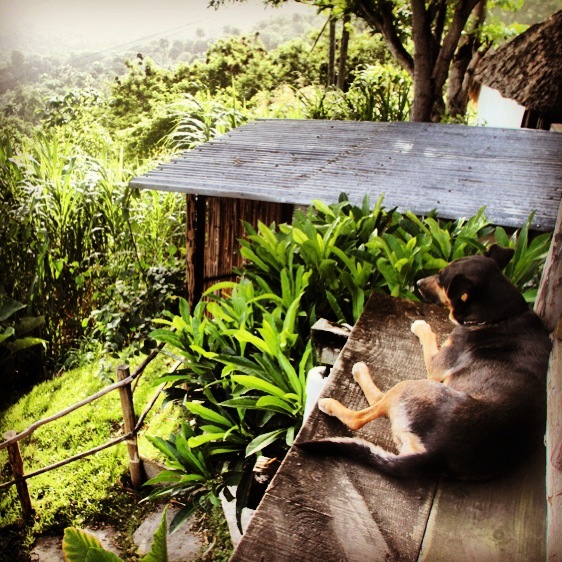 Tonta, chief greeter at Tubagua Eco Plantation, overlooks the lush hills along the Ruta Panorámica. 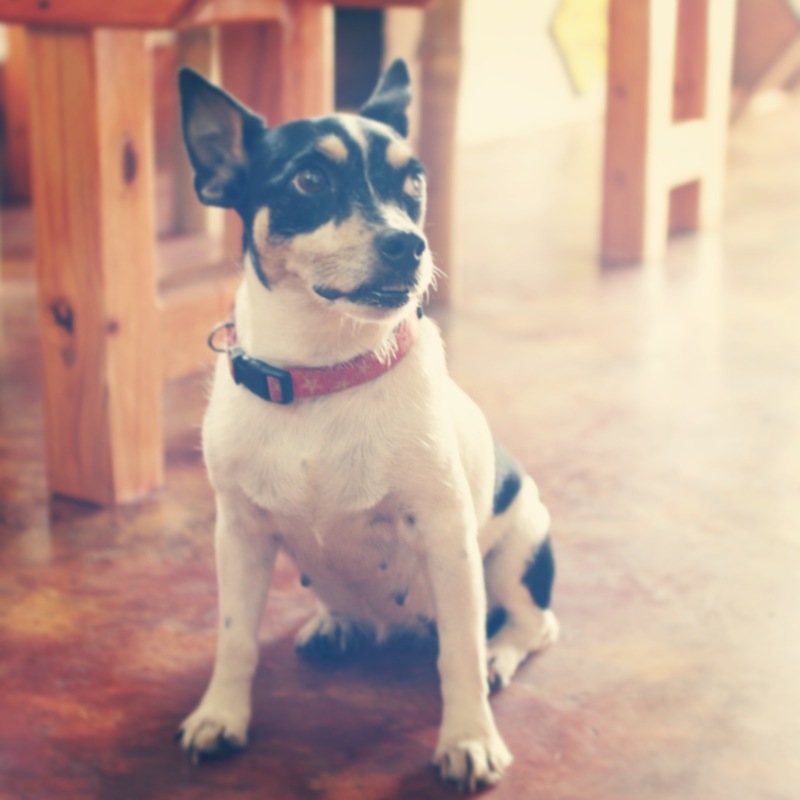 The pint-sized mascot of Vacabar in Cabarete, Chica. 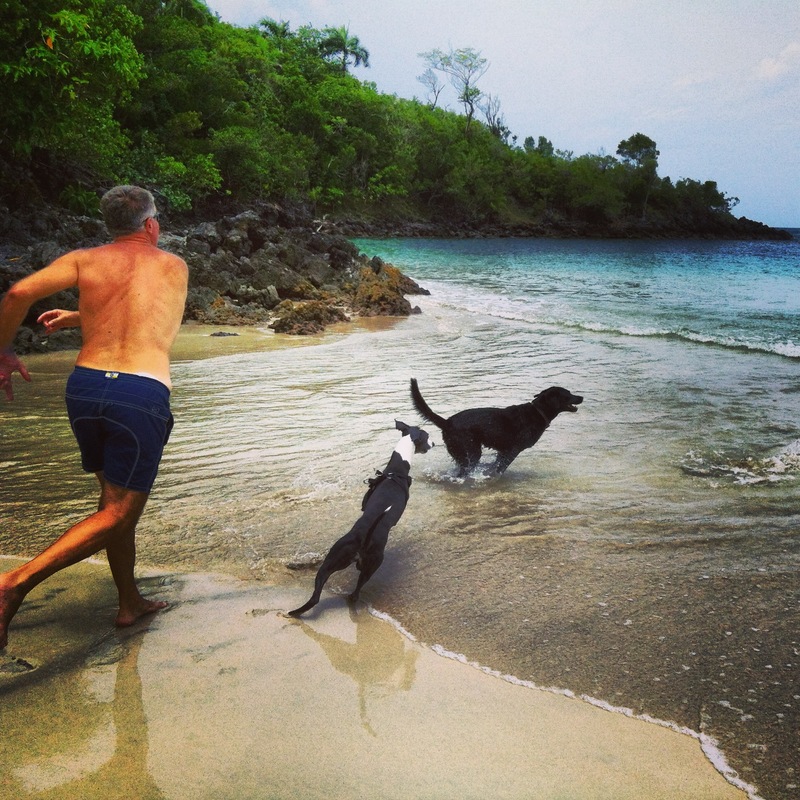 Fetch on Playa Las Ballenas in Las Terrenas. 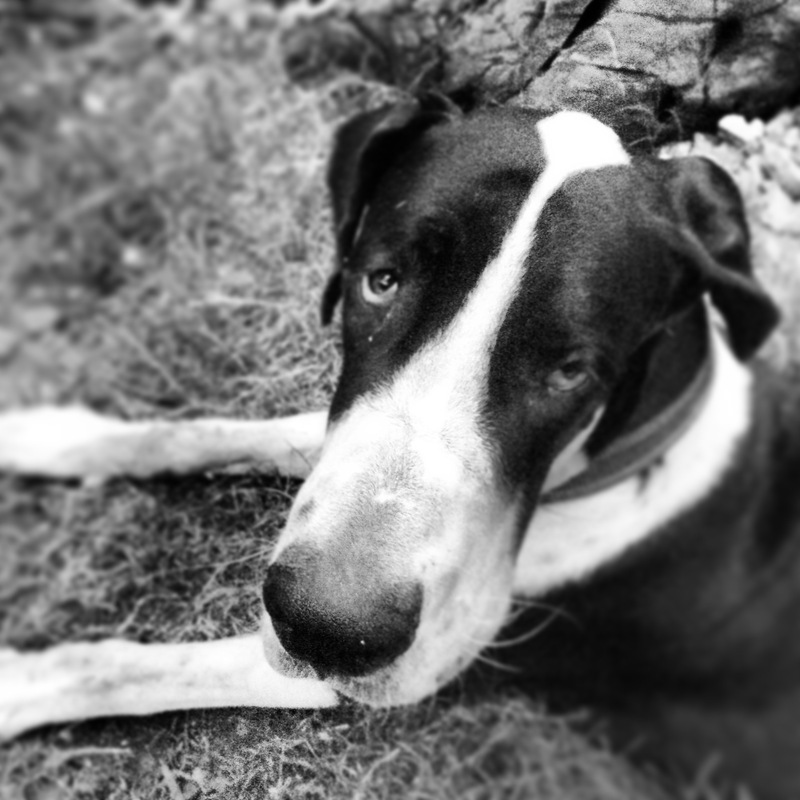 Rico, a four-month-old great dane, lives at cliffside restaurant El Cabito. 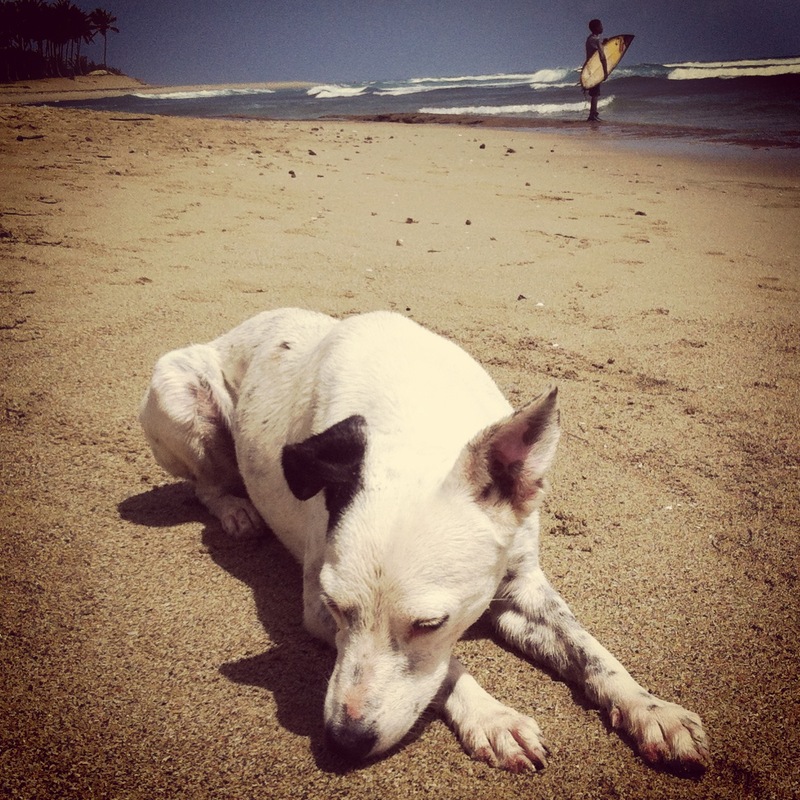 A dog sleeps on Playa Encuentro in Cabarete.